Hey just becuase I spend most of my days meeting great households and helping make their homes clean and cozy doesn't mean that I don't enjoy a nice cinnamon roll during the few colder days spent at home. 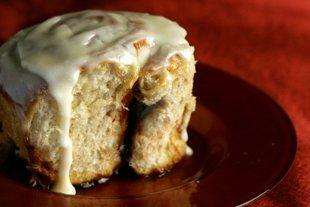 Improving on the original while cutting out the calories Sure, it's easy enough to walk into a mall and shell out $3 to $4 for a classic cinnamon roll at Cinnabon, but what if you could make a version at home that was better than the original and lower in calories? It sounds too good to be true.